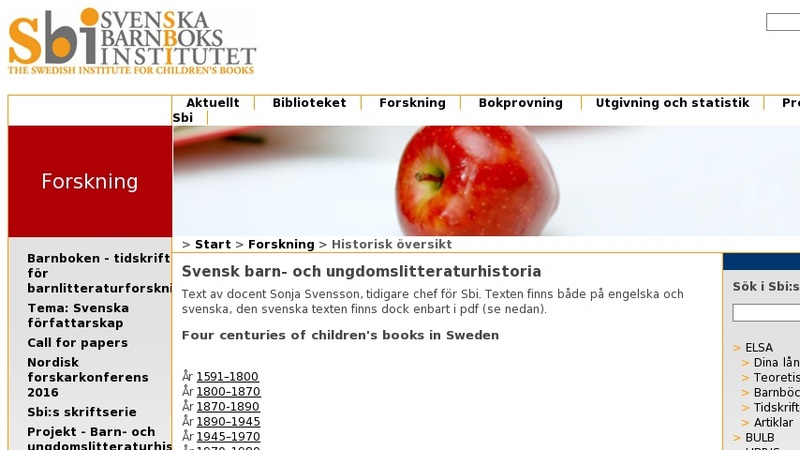 Four centuries of children s books in Sweden. Text by Sonja Svensson, Ph D and former Director of the Swedish Institute for Children’s Books. Periods are: 1591–1800, 1800–1870, 1870-1890, 1890–1945, 1945–1970, 1970-1980 and 1980–2000.